Whatever your level of sailing capability, from complete novice to avid racer, we can help you develop your skills and get more from this exciting sport. The club provides support to its members through formal courses both on and off the water, formal and informal coaching and organised activities. We help individuals and families learn in a safe manner and at a pace that suits them. Attend one of our Open Days or Taster Sessions to give sailing a try for free. 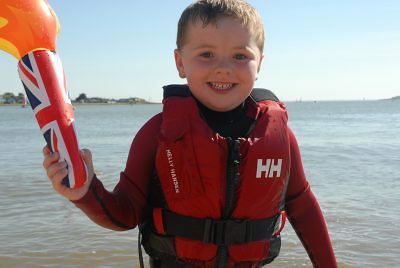 Book one of our adult or junior 2-4 day beginner courses to start your sailing fun. 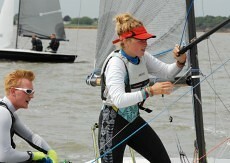 There are crewing opportunities for adults and Cadet Night for juniors to start their sailing in an informal manner. From skills clinics on Monday nights to cruising events and family days, the club has a number of activities that support your sailing development as your confidence grows. Some of our members love the racing challenge and we support the development of these skills with our Saturday Transition Squad, with novice starts through the year and with formal and informal racing skills clinics. With over 80 club races per year from March to December in a variety of formats, plus a series of championships and open events including Brightlingsea Youth Regatta and Learning & Skills Solutions Pyefleet Week, there is no shortage of competitive racing. Racing regularly from the club are multiple World, European and National champions and even Olympians and Paraylmpians, so there is no shortage of experience around to give advice.